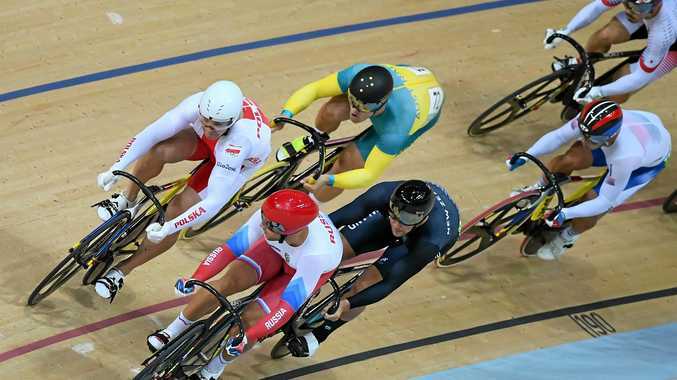 CYCLING: Australia's track team is stranded in Los Angeles without their bikes and may be forced to pull out of the track World Cup starting today (AEST). The lost bikes have been found in Cali, Colombia, where the team was racing last week and failed to make it on the American Airlines flight to LA on Monday. The luggage bungle is threatening to ruin a trip that cost more than $100,000 and was being used to gain crucial UCI qualifying points for world championships. Seven of the 13 riders who raced in Cali last week continued on to LA for the second leg of the World Cup double-header and have spent the past four days training on exercise bikes at a local gym and riding stationary road bikes on loan from the New Zealand and French teams. They spent yesterday riding stationary bikes with a computer-generated training program known as GoZwift while waiting for their track bikes to be found. Cycling Australia is scrambling to have the bikes put on the next available flight from Cali but if they do not arrive in time the team will almost certainly have to abandon the World Cup. It's understood Kelland O'Brien and Thomas Clarke may be able to ride their individual events on borrowed bikes, but the women's team pursuit squad of Rebecca Wiasak, Ashlee Ankudinoff, Amy Cure, Alex Manly and Georgia Baker will not be on the start line less than a week after they won gold in Colombia. Riders took their helmets, shoes and personal clothes with them on their flight from Cali but their bikes and equipment were left behind. The team's bikes also were delayed by about 48 hours on the way from Australia.